This super fun local option is perfect for families and couples alike. They boast the largest indoor water park in Northern Texas (80,000 square feet of water!) including slides, rides, and a relaxing lazy river. The magiquest game, a non-stop quest-based treasure hunt, will keep the kiddos busy for hours. If you left the kids with the sitter, enjoy gift shops, a spa treatment, pool side lounging, whirl pools to relax, or snag a spot by a fireplace with a good book. They’ve even got a special going on their website. The limestone-lined flow of the Pedernales River welcomes visitors to the Pedernales Falls State Park. Outdoor enthusiasts have lots of options, from swimming and tubing on the currents to hiking or biking up to the falls and taking in their unique beauty. Horse owners are also welcome to trailer in their favorite one and ride the 10 mile trails. If you want to camp, chose from designated spots with water and electricity access or hike out to a remote spot and plunk down for the weekend. Entrance fees are $6 for 12 and older. Find out all about the park, including hiking and facility maps, the junior ranger program, and more on the Falls Website. If you’d rather get wet in the summer sun, Schlitterbahn’s outdoor waterpark and resort is another great last minute spot to vacation. You can stay overnight, or just get a day pass. They have 22 slides or chutes to choose from, plus dozens of pools and play areas to base the gang in for the day. The resort is also a wonderful spot to stay as you explore local areas. The concierge desk can help you plan a few days of adventure (tennis, golf, Landa Park, bike and paddle boat rentals, river trips, horseback riding, winery tours, fly fishing, sky and scuba diving, ski ranch, spa services, and more) and then welcome you back to unwind in a heated pool or comfy bed. Give them a call or look up details online. Animal lovers will appreciate a trip to Seaworld in San Antonio. In addition to their regular exhibits, they’ve recently opened Pacific Point Preserve, a remodel of the sea lion area that according to their website is an “immersive experience that has the look and feel of a Pacific coast town where guests make powerful connections with sea lions and other coastal wildlife.” Seaworld also has fireworks every Friday night, and you can find great dining deals and 2 days passes if you want to make a weekend of it. Vacation packages are also available; find them and more on their website. The history and excitement of our country’s involvement in space exploration can become a one-of-a-kind experience for visitors. The Houston Space Center offers ever-changing exhibits and artifacts, including moon rock and lunar samples, as well as opportunities to see NASA mission control and Johnson’s Space Center. If you’ve always wondered about astronaut training, plan to visit on Wednesday when you can actually experience it! If you’re hoping to cut costs or stay in Houston for a longer time frame, check out the CityPass to get a 50% discount on visiting the Space Center and four other local sites. If history and natural beauty are both on your checklist for summer, the “paseo del rio” might be the perfect mix. Wander its lush path, soaking in the sights and sounds of times past, and browse the many shops. Boat tours are also available and make for a romantic option for two. For some entertainment, consider stopping in the Ripley’s Believe It or Not museum, the IMAX theater, or Dave and Busters. Drive or ride through the King William Historic District and wonder at the fancy, antique homes. Lastly, tour the missions, including the renowned Alamo. Ever wanted to fly? Lake Austin offers the prime place to learn! Fly board is becoming a summer favorite among local outdoor enthusiasts. Compare it to power wakeboarding. Underwater and air propulsion lift you over the water and allow you to move through the water upright, similarly to a dolphin standing out of the water. Bring some friends, take a 30 minute lesson and then race, or just enjoy the rush! For more info, check out prices and packages, as well as other info on their website. If you’ve never had a chance, this summer is the best chance to go on an African safari right here near home! The Natural Bridge Wildlife Ranch offers a drive through zoo experience, where you’ll see dozens of exotic animals that come right up to your vehicle! Want to be more hands on? They also have a petting farm that will let you stretch your legs after the drive tour. Then grab a bite to eat at the Safari Camp Grill and grab a memento of your last summer harrah at the Trading Post. 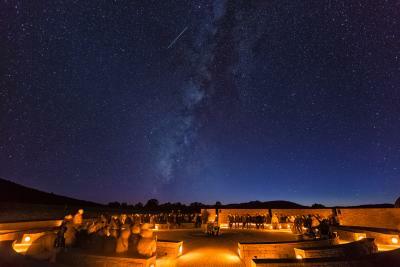 The stars can be your playground at the McDonald Observatory in West Texas. They offer solar viewings, star parties on the Rebecca Gale Telescope Park, and twilight programs. They have special viewing nights as well as tours that let you explore the universe via theater. They advise a reservation for the star parties just so they have a head count, so call them when you’re on your way! This big aquarium features many endangered animals and aims to teach visitors about conservation. In addition to their aquarium pools and viewing areas, they have a replica of the Orinoco Rainforest. Its aviary contains ever-soaring toucans and ibises, and its treetops are home to sloths and other jungle fauna. Other environments include South African where you can meet a tomato frog, Mongo Maya for a flashback to central American native life, and Borneo’s Australian forests to meet a tree kangaroo! You can plan to feed some of these animals, listen to a talk, or alternate viewing the animals and shopping for souvenirs. For a wild day, check out hours and prices on their website. Take Grapevine’s historic railroad down to the historic stockyard district and enjoy a day (or two!) of living in Texas’ adventurous history! Ride in a carriage on the Texas Stageline or wander along the Trail of Fame. Better yet, catch a rodeo, check out the stables, or learn all about local history in the stockyard museum. But watch out! A long horn cattle drive could come through any moment! If you’d like to live up the nightlife after a day of at the Stockyards, bar hop or seek entertainment at Sundance Square. The Bass Performance Hall, Schokolad Chocolate Factory, or Jubilee Theater are some good options. Have you been to any of these in the past? Please share tips or insider info with us. Don’t let 2015 be the summer you forget! Make it memorable with a spur of the moment trip to one of these 10 awesome spots in Texas.